Develop a quality weight lifting routine with this multifunctional workout bench. 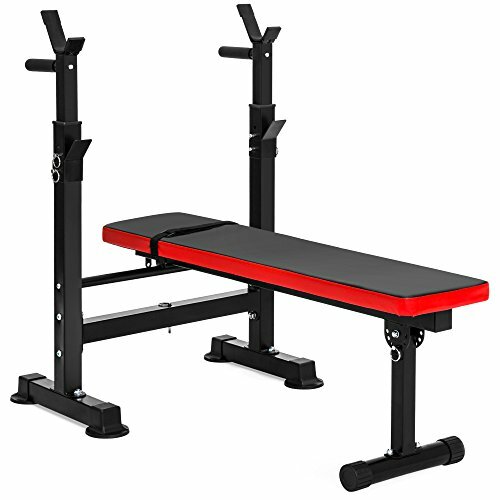 Made with comfort in mind, it features a padded surface and wide bench station to provide a variety of lifting options. For convenience, this workout essential is also built with a foldable design that allows for easy storage in compact areas. Whether utilizing it for personal training sessions, crossfit, or even a home gym, this bench will be a key to reaching those fitness goals. Overall Dimensions: 47.5"(L) x 28"(W) x 34-41.25"(H); Weight Capacity: 330 lbs.